Entel HT925 / 985 Atex is an analogue, intrinsically safe radio from Entel. IP68 approved portable has a high visibility backlit display with scrolling text, allowing for text messaging and the use of its easy to use intuitive menus. Features include FFSK signaling, as well as variable point voice scrambler, channel scanning, shunting mode, personal attack alarm, whisper mode and lone worker. Utilising the latest intelligent Lithium-Ion battery technology, your HT9X5, if dealer enabled, will display a battery cycle count each and every time you power-on your radio. For your convenience, it will even alert you to imminent battery life expiration. This MIL-STD 810C/D/E/F construction, IP68 approved portable has a high visibility back-lit display with scrolling text, allowing for text messaging and the use of its easy to use intuitive menus. Conforming to European rating IP68, the HT Series 2.0 offers the highest submersible rating of any two-way portable radio. Uniquely able to withstand total immersion in water to a depth of 5 metres for 1 hour, Entel’s HT Series 2.0 radios are therefore extremely resistant to corrosion, more than a match for the likely hazards encountered in any field of operation. The HT900 range of ATEX certified portables meets IIC T4, the most stringent ATEX ratings as required by the EU directive 94/9/EC. For full details, refer to the ATEX data sheet available here. 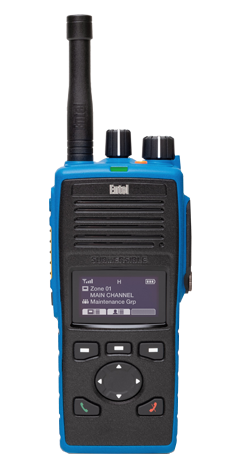 Commercial Grade Construction exceeding MIL STD 810C/D/E/F rating for tough enduring performance the Entel HT Series 2.0 is designed to withstand shock, vibration, dust and moisture – ensuring many years of trouble free use in the most hostile environments. Sometimes there is also the DSEAR regulations to consider. Specification sheets are very long for Entel, but we always prefer to discuss customers requirements so we can help to recommend an exact radio for specific customer needs. There are many companies simply selling whatever they like on the internet but we prefer to sell what our customers actually need. We offer completely free consultation services to all customers to get the most suitable ATEX radio for your needs. Our price match is legendary (ask other dealers) against any UK company (we do need to see a copy of the quotation), However we offer better support and service than any of them. We do sell and support all types of radio equipment and have years of experience in this field. Recently, we helped a customer to save more than £13,000 per annum against rental costs and upgraded the client to the newest technology around that outperformed his old equipment by far. 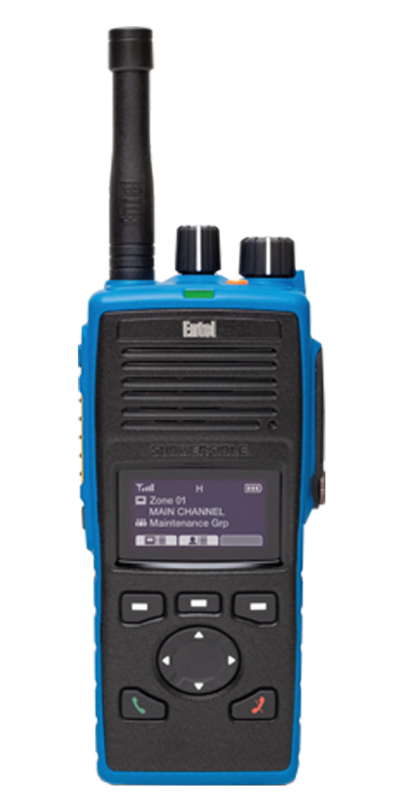 For further information on the Entel range of radios please fill out the form below.